Each of the region’s three organising teams, East, West and Central hold two surgery sessions a month for stewards to book an appointment to go through a case in detail with a case specialist. The member concerned may or may not be there with you. This is an opportunity for a more detailed consultation and does not replace the ability of all stewards to discuss cases directly with their Regional or Area Organiser at any time. provide details of the case to be considered and forward by email any relevant documentary information that you wish to discuss. You can book an appointment up to 48 hours before each date, this cut off is to allow the Regional Organiser time to consider any papers submitted. Appointments will normally be for up to an hour, but where required for detailed issues then longer appointments will be considered and accommodated where possible. 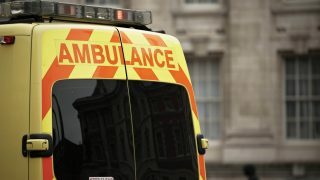 What happens if ambulance staff are involved in an accident?